The Tyrant Designs CNC T-Comp (internal designation of V18.3) officially went into production on December 3rd as Tyrants first firearm compensator, and is now slated for a Christmas release. This new compensator not only introduces innovative features but is also particularly significant as it uses a two piece locking mechanism design. The T-Comp will usher in a new era of Tyrant products, in doing so building upon the invaluable legacies of our predecessors. The Tyrant Compensator is designed for operators who demand the most from their handgun components. An uncompromising compensator that will deliver both performance and aesthetic appeal to any full frame 9mm Glock, Gens 3 through 5. As there is a limited quantity run, Tyrant requests that anyone interested should sign up on the products description page (linked below). SIG SAUER, Inc. is pleased to introduce the P229 SAO pistol as the newest addition to its Legion Series of firearms. Legion is an exclusive product line developed by SIG SAUER based on input from elite shooting professionals, and designed to exceed the expectations of the serious shooter. SIG SAUER’s Legion is an exclusive members-only access program available to owners of the SIG SAUER Legion Series of firearms. Upon registration of any Legion Series firearm, members receive a complimentary thermo-mold carrying case, a challenge coin matched to the firearm, exclusive access to Legion gear and merchandise, and receive exclusive communications from SIG SAUER and the Legion. Additionally, all SIG SAUER SAO pistols are only available through the Legion Series. The SIG SAUER Legion Series P229 SAO pistol will be on display at the SIG SAUER Exhibition Booth (#6220) at the NRA Annual Meeting in Dallas, Texas, Friday, May 4th through Sunday, May 7th. Total length: 7.1” Barrel length: 3.9” Weight (incl. magazine): 32 oz. The Legion Series P229 SAO will be available in retail stores in mid-summer. (McLean, VA – April 17, 2017) FN America, LLC is excited to announce the launch of the FN 509™, an all-new 9mm striker-fired pistol. The FN 509 was born out of the company’s effort to produce a contender for the U.S. Army’s Modular Handgun System (MHS) competition and has been further enhanced to meet the needs of U.S. law enforcement and commercial customers. Built on the proven architecture of the FNS™ Compact, FN made changes internally and externally to meet the rigorous performance standards of the MHS requirements and further developed the platform into the FN 509™ with help from industry experts. 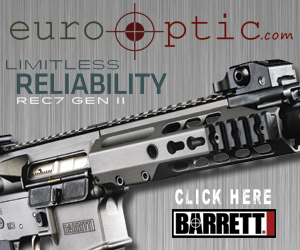 Over the course of development, the platform has been tested extensively for reliability, ammunition compatibility and durability – totaling more than 1 million rounds. Aesthetic changes to the platform include the aggressive cocking serrations, enhanced grip textures, guarded controls and recessed target crown on the barrel. Critical internal components were completely redesigned to ensure maximum performance to meet FN’s demanding standards. The FN 509 is currently shipping to FN distributors in two commercial SKUs, available at retail in early May, and two law enforcement SKUs, available in early June. Other options like manual safety models will be made available at a future date. For product specifications, please see Figure 1. To see the new FN 509 in person, visit the FN Booth (#2429) at the 2017 NRA Annual Meetings, held April 28 – 30, 2017, in Atlanta, Georgia. To read more on the design and development of the FN 509 or to find a dealer near you, please visit fnamerica.com.